OK 19 Washita River, Grady Co. 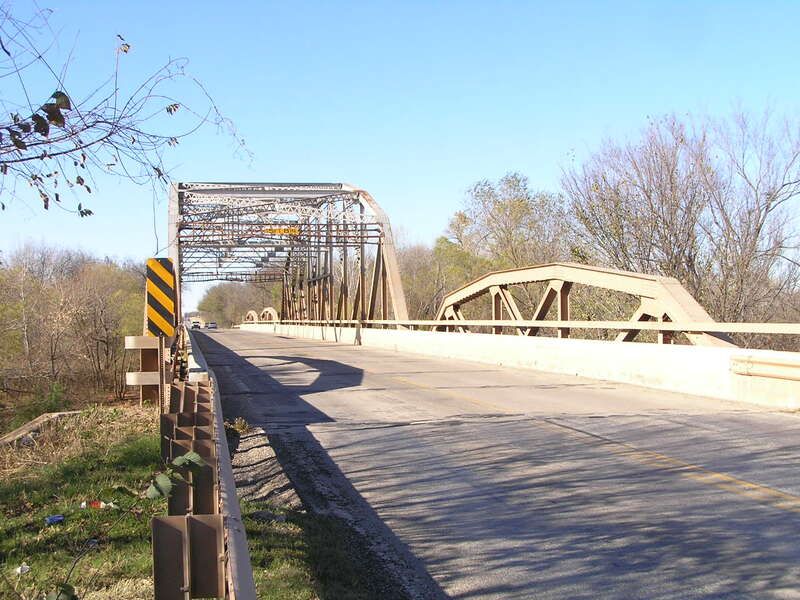 Built in 1953, this bridge consists of four spans: a 210-foot Parker K-truss and three 100-foot Parker pony spans. The bridge is 520 long overall, and has a 28-foot wide deck. 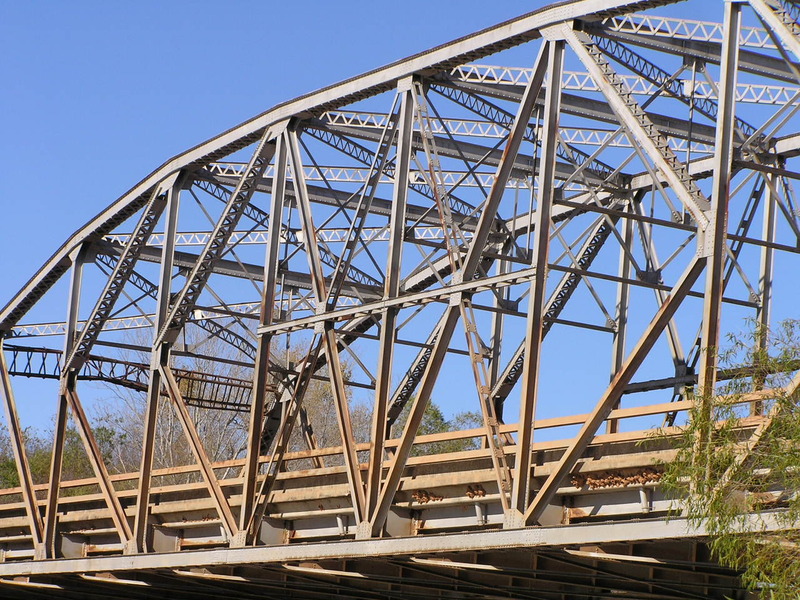 This bridge seems to have had very few alterations during its lifetime, such as a new concrete deck, and the portal bracing has been replaced. Other wise, it is essentially as built. The above view is looking east. 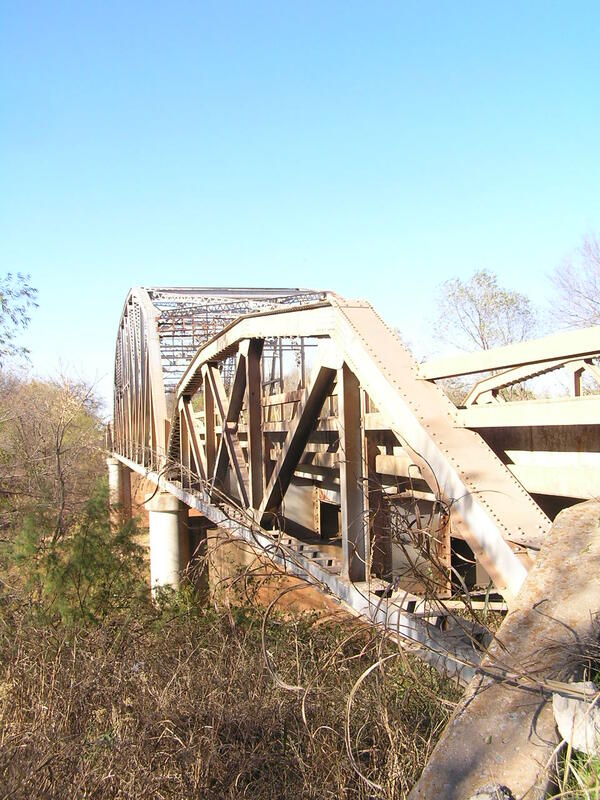 Below, the bridge as viewed from the south. 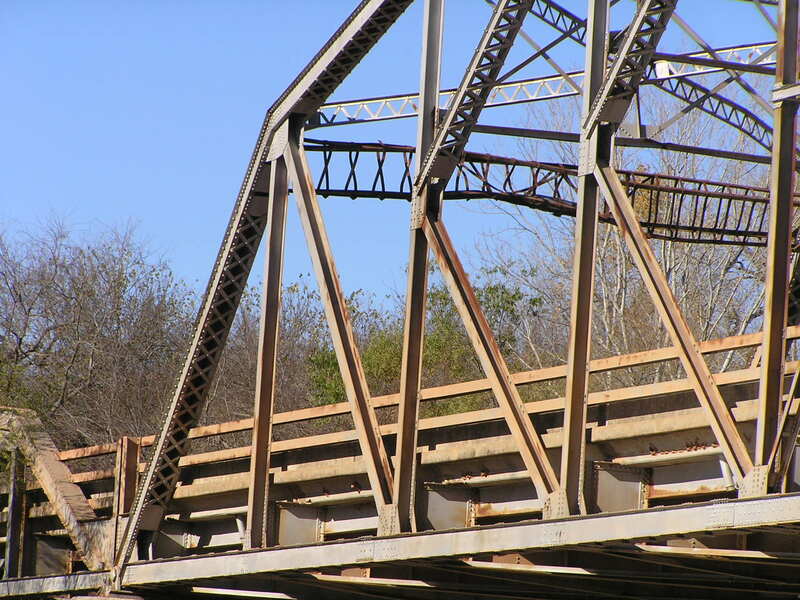 Above and below, detail views of the through truss span. This is a very heavily built bridge. Note the rather clumsy steelwork that was welded in to replace the original portal, which seems to have been hit many times. Also note how deep the floor beams are. The are built up of plates and angles stitch riveted together. Above, a view along side giving a good view of one of the pony spans as well as the substructure. 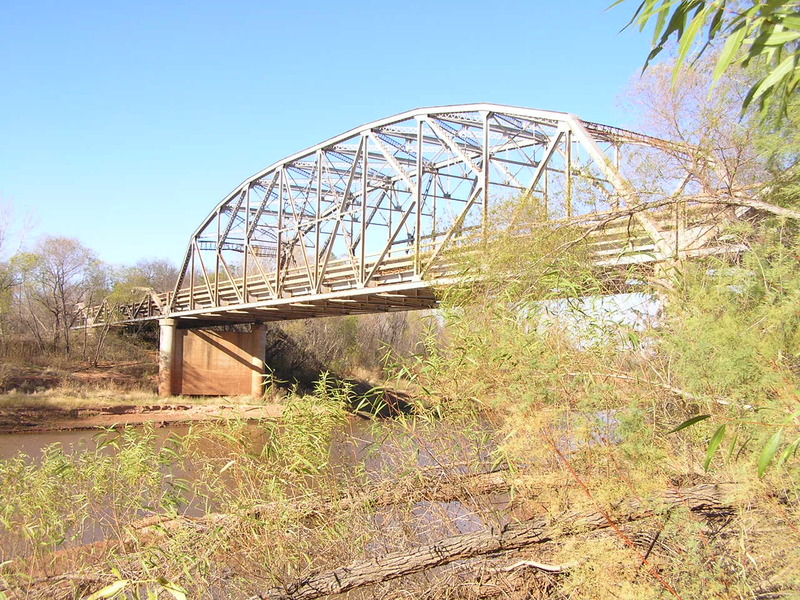 This bridge is a good example of the later practice of truss building in Oklahoma.